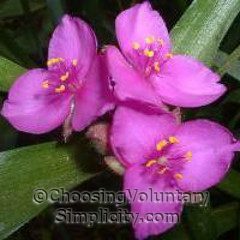 Spiderwort (Tradescantia virginiana) is a hardy perennial that grows wild in some areas. I have both the purple and the dark blue spiderwort growing here. The dark blue kind seems to flower slightly later, and the purple blossoms always seem to show up first, although both still blossom at roughly the same time. 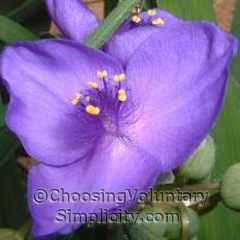 Spiderwort likes moist, fertile soil and light shade and is an extremely easy plant to grow. It grows to a height of two to three feet and forms a dense cluster of ornamental foliage. Plants will spread rapidly if you don’t keep them in check (don’t ask me how I know! ), but if you want even more plants than increase naturally, spiderwort can be divided in spring or early fall. 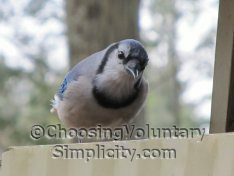 The flowers close in bright sunlight but will remain open in shade or on a cloudy day. Each flower blooms for only a short time, but there is a succession of blooms with new flowers opening over a long period of time. 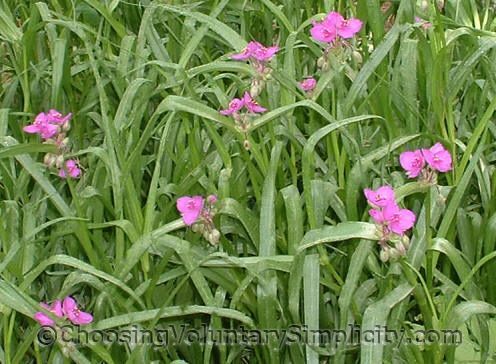 When can I transplant spiderwort? I am new to spiderwort and love it. It is sprouting in many places in my garden where I need to move it. Can I do it now (early June) after it has bloomed and is dying down? Also, does it grow from seed? Is it a self-seeding plant or is there a bulb there that I need to think about? Just dig it up with a shovel and put it where you want it. You can’t kill it. When it gets ratty looking in the 90 degree temps here in Wilmington, N.C. I mow it down along with the peppermint that has taken over. It will come back out as soon as the temps cool down and then you will have another growth through the winter. The roots will spread and the seeds will drop and you’ll get hundreds of plants. I don’t have the heart to destroy them so I just let them grown in my garden and mow them down in the lawn.